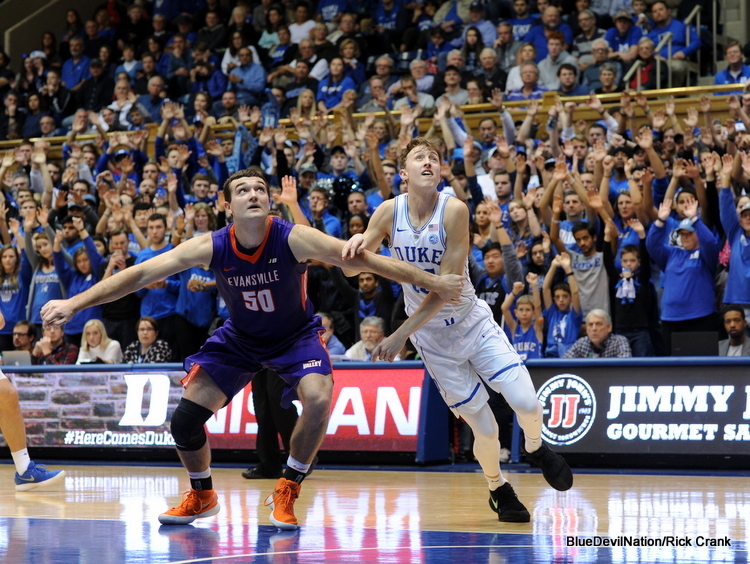 It is time for the third installment of the season of 10 Random Thoughts on Duke Basketball. Great crowds are not an automatic norm - It seems like a while since Duke has played but we must address how good the crowd was during the FSU game in Cameron. Even Duke coach Mike Krzyzewski told the players they got their first true Cameron experience after a victory over a team shooting lights out. Now, the odd thing here is that there were no cheerleaders or students to speak of, yet Cameron was at its loudest this season. It goes to show that spirit is often brought in more-so from fans who really want to see the team and rarely have the chance. Duke will not play again in Cameron until January the 13th against Wake Forest. And the bar was set high for when the students come back to keep up a winning atmosphere. There are games when empty seats are found when the students are there, but Cameron was packed last Saturday and they need to find a way to keep the place full. Next up, N.C. State - Yes, the Wolfpack was man handled by Notre Dame minus Bonzie Colson. Yes, Duke is the favorite. But the Pack has a way of playing their best against Duke no matter their record or national perspective. This will be the first time meeting between Kevin Keatts and Mike Krzyzewski in ACC play. What will the Pack do? That's easy They will launch a ton of three-point shots. While streaky beyond the arc, that is how this team beat Arizona on a neutral court. The scouting report on Duke is that you must make your threes to win. 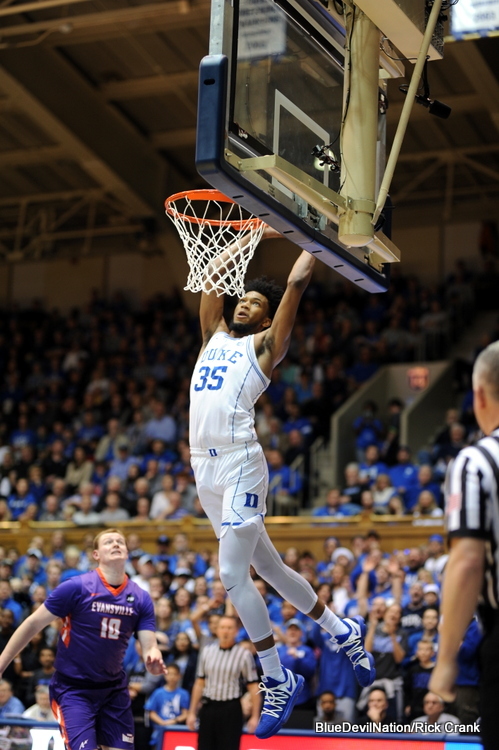 Duke should have an advantage in the paint - The dynamic duo of Marvin Bagley III and Wendell Carter Jr. has given Duke their best frontcourt ever under Krzyzewski. Yeah, I said it. But Omer Yurtseven and Abdul Malik-Abu will play well and try to make a name for themselves. What I think Duke needs to do vs N.C. State - I am convinced that Duke will score the ball inside. But they will also need to hit their free throws. Some misses almost caught up to them in the win over FSU. Duke will also need to knock down a few threes while keeping the starters out of foul trouble early in the game. N.C. State and other schools play the name on the jersey and look forward to this match up and are therefore loose. What does a player have to do? Marvin Bagley III won the ACC Rookie of the Week after his 32 point, 21 rebound stat line against the FSU. But I am not sure how that stat line and the significance of a key conference game kept him from player of the week as well. After the Pack? Duke plays at Pitt on January 10th. Oh look! They also play them again just 10 days later in Cameron on January the 20th. It's on now! After the game with Pitt, the breaks will be few and far between for Duke. They take on Wake 3 days later and then travel to Miami 2 days later. In short, the games will come quick now that conference season has started. When Duke tips off against the Pack in Raleigh on Saturday, they will have exactly 2 months before the ACC Tournament begins. 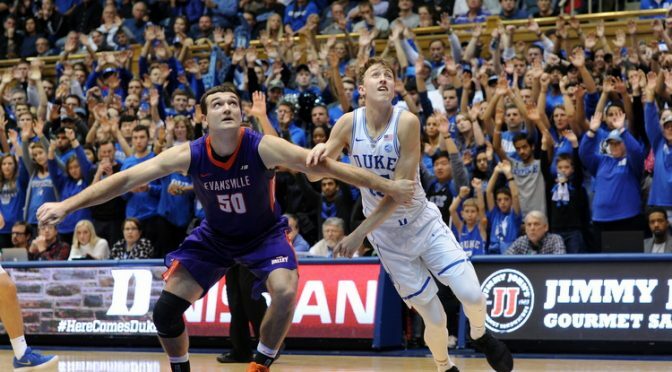 Tucker will transfer from Duke. Duke loses Jordan Tucker - Transfers happen. Especially when players want to play right away and not willing to ride out the process. It is worth noting that Duke assistant coach Nolan Smith and many other stars past rode the bench in their freshman season. We, of course, wish Tucker the best. 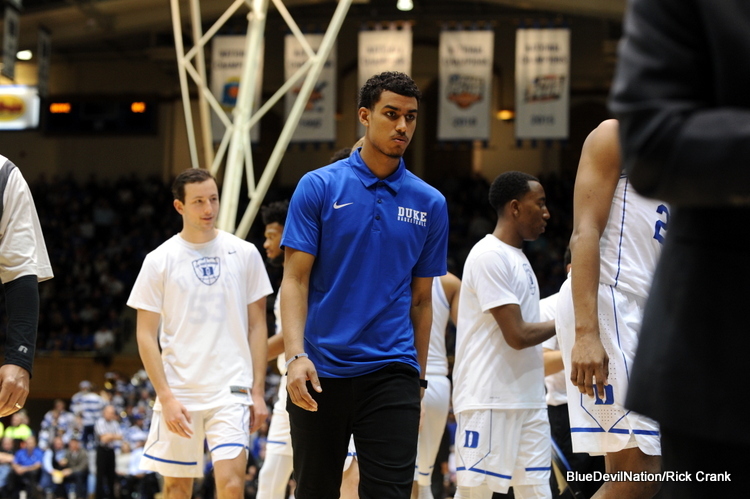 At the same time, there is an appreciation for players who trust the process for many Blue Devils have become solid players in their junior and senior seasons. I mentioned in the pre season that minutes would likely boil down to who won practice battles between Alex O'Connell and the aforementioned Tucker. I personally feel that O'Connell was a bit better prepared with his overall game to contribute. The year to date and what is ahead - I mean, the team is ranked 2nd in the nation against a solid schedule and has perhaps the nations best player in Marvin Bagley III. Freshman starters Wendell Carter Jr., Gary Trent Jr., and Trevon Duval are playing older than they are. That, which Krzyzewski has stated, must continue. Grayson Allen has become a leader and Duke has three good options off the bench and maybe even four. There have been no major injuries and the team likes each other and seems to have fun with the game. So, not much to complain about. They are not perfect nor will they be and some more losses lie ahead. But plenty of wins do was well . The team can certainly win the league with some luck and make a deep run in March. I am certain their goal is the exact same one the fans have in mind. But take it one game at a time folks...one game at a time and enjoy the season. Also - take advantage of our membership special by following the link on the front page. We have extended the discount through the month of January. Coach KDuke Basketball NewsGary Trent Jr.Grayson AllenMarvin Bagley IIITrevon DuvalWendell Carter Jr.